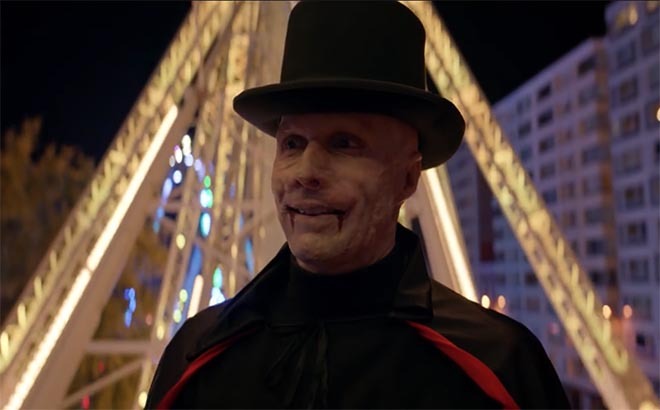 French not-for-profit Burns and Smiles and TBWA\Paris have won a Yellow Pencil for film at the D&AD Awards, in recognition of “Halloween”, a commercial designed to sensitize the general public to the fight of the burners to change the gaze of the others in everyday life. With a view to heightening the general public’s awareness and helping burns victims step out of the shadows, we relate the story of one such individual, who we join for one very special evening. The film demonstrates the extent to which other people’s attitudes and sense of acceptance are two of the keys to coaxing burns victims out of isolation and putting a smile back on their faces, much more than just once a year. “The production of the short film, by Nicolas Galoux, allows us to imagine the anguish that the burned feel when they leave their house. He has established a game between disguise and truth. The one actor, Boris Ravaine, is not himself burnt. It was therefore necessary to work on realistic makeup, especially in the treatment of the ears which is particularly successful and very close to reality. All the reactions of the characters in the film are authentic, yet they reflect behaviors that have nothing to do with the daily reality of the burned. While Halloween leaves room for monsters and horror, it is the only day that this man is “a normal guy among normal guys”! The Burns and Smiles Halloween campaign was developed at TBWA\France, Paris, by executive creative directors Benjamin Marchal and Faustin Claverie, art directors Lena Monceau and Julia Deshayes, head of production Isabelle Dray, managing director Luc Bourgery, working with CEO and Co-Founder Laurent Gaudens. Filming was shot by director Nicolas Galoux via TBWA\Else with actor Boris Ravaine, producers Jennifer Bauche and Anne-Cécile Jemin, CEO Maxime Boiron, editor Grégory Lefebvre, SFX Make-up artists Jean-Christophe Spadaccini and Laetitia Quillery, Pierre Parry, stylist Nadia Chmilewsky, sound director Fanny Mithois, sound engineers Max Labarthe and Vendome Uhl, and music rights producer Marie Roche.